In 2013, the Royal Borough of Kingston upon Thames submitted its expression of interest for the Mayor of London’s mini-Holland programme. The proposal included a range of ambitious and visionary schemes with the potential to transform cycling in the borough and encourage people of all ages and from all backgrounds to cycle more often. Steer's Design for Movement team supported this successful bid through the development of a package of innovative and exciting cycle design proposals. major Cycle Hubs at the Borough’s two principal stations. 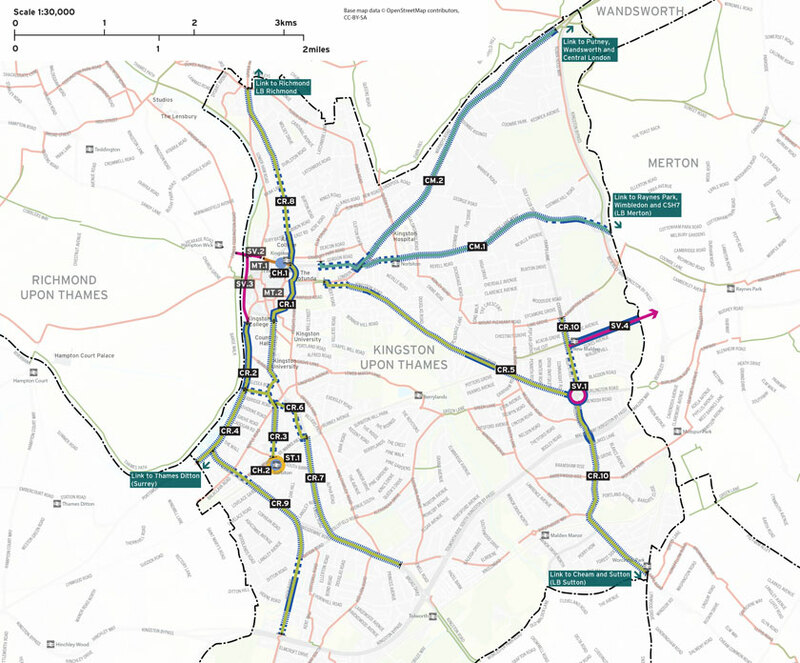 These landmark schemes are underpinned by a network of high quality strategic routes across the Borough tying in with local Quietways, Greenways and London’s existing Superhighway network and improvements to key junction designs around the central core. Expansion of existing complementary measures, such as information, training and promotion will promote the measures. In 2014, it was announced that Kingston’s bid was successful in securing over £30 million of funding. Since then we have continued to work with the borough to progress the proposed schemes towards implementation.